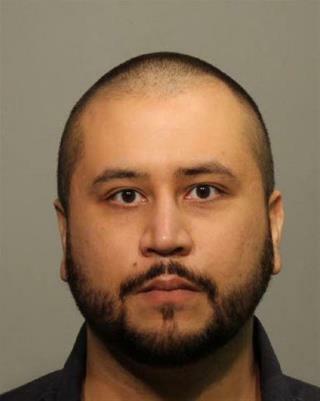 (Newser) – There are differing accounts of what happened at a Sanford, Fla., restaurant Sunday evening, but three things are clear: George Zimmerman discussed shooting Trayvon Martin, he was punched in the face, and he is no longer welcome at Gators Riverside Grille. WKMG reports that Zimmerman called 911 and said that he had been explaining how he had killed Martin in self-defense when he was punched by a man who accused him of bragging about shooting the teenager. "We were standing right here eating," Zimmerman told a 911 operator. "This man punched me in the face. He said he's gonna kill me. You need to send three or four cops." when i read this story, i punched the picture of zimmerman in the article. He's still tossing a hissy over Trump's backing out of his promise to pick him as his running mate.